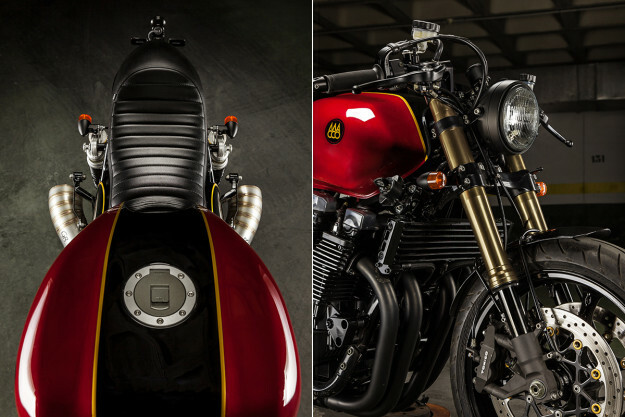 If you live in sunny Spain and fancy a custom Bonneville, you’d do well to give Macco Motors a call. 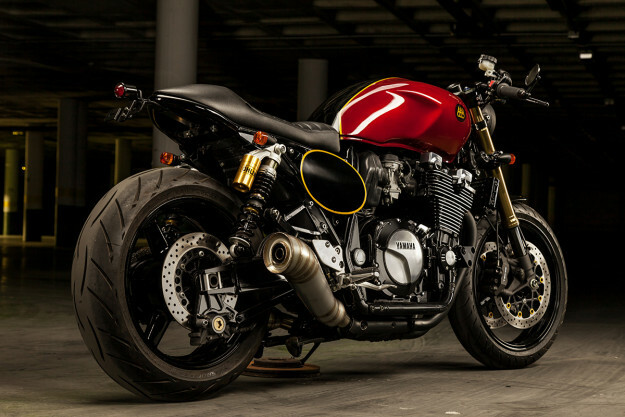 The Málaga shop has become famous for its sublime Triumph builds. So the guys decided to book in an internal project. 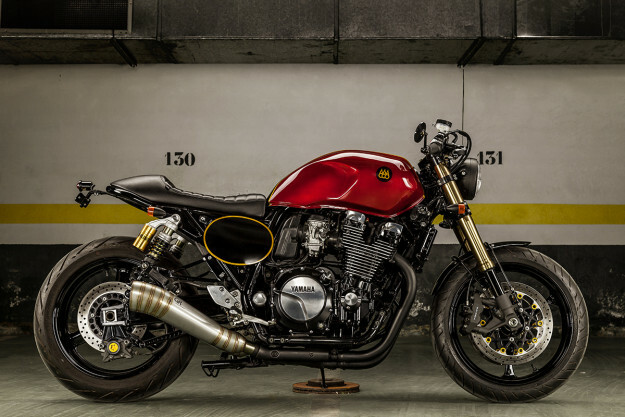 They briefed themselves to build a practical but elegant machine with a café racer aesthetic. 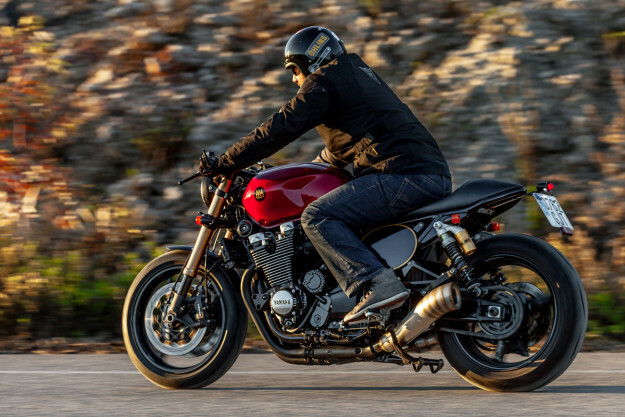 This one just got even more fun: Macco have seriously upgraded the handling. The forks and front wheel are Suzuki GSX-R1000 units, and there are now Tokico brake calipers at both ends. 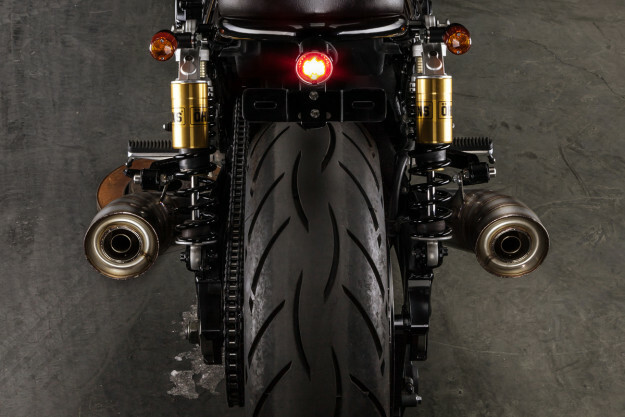 A pair of Öhlins shocks keeps the rear in check. There’s a fair amount of practicality at play on this build. Macco made up a fiberglass fender for the front, and the tires are as grippy as you’ll ever need: Metzeler Sportec M5s. Even the airbox is still intact, though the exhaust has been replaced by a custom-made four-into-two system from Escapes GR. 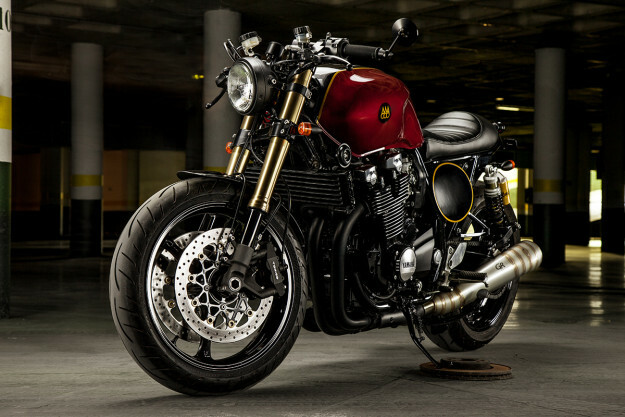 And the XJR1300 has turn signals, a taillight and a license plate bracket to keep things legal. Macco are no slouches in the aesthetics department either. We have a redesigned subframe, a custom-made humped seat, and a neat set of number boards. 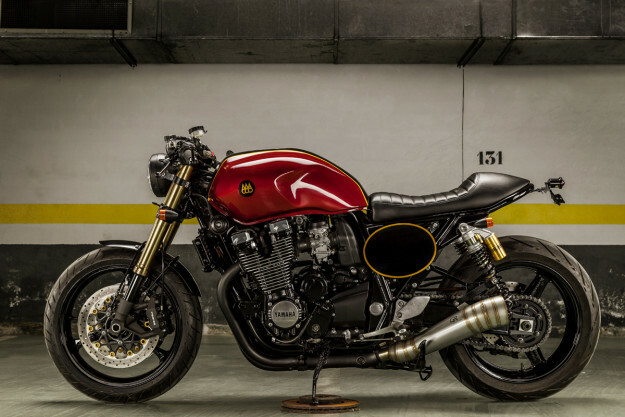 But the strongest visual hit comes from the paint—a mouthwatering red scheme with touches of black and yellow. The requisite café stance is present too. Semi-elevated TRW clip-ons and Avon grips have been fitted up front, matched to a set of alloy rear sets. 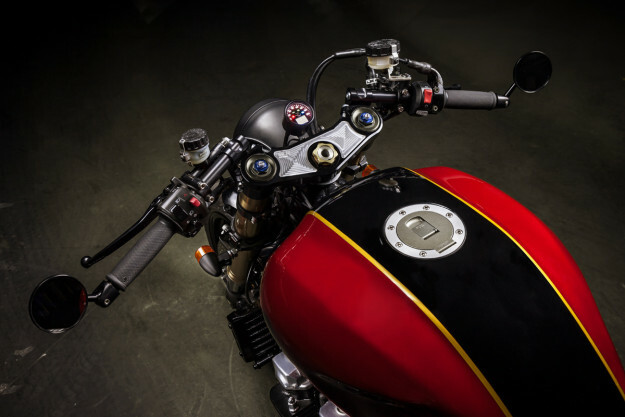 The cockpit’s been pared down to a 5¾-inch headlight, a tiny MMB speedo and bar-end mirrors. There’s a cleaned up triple clamp too, and the ignition’s been relocated. ‘The Sinner’ is not the usual Macco fare, but it’s an exciting change of direction. And if you like what you see, you’re in luck: it’s for sale. Macco Motors | Facebook | Instagram | Photos by Sergio Ibarra from Semimate.